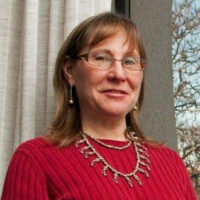 Louise Cainkar is a sociologist and Associate Professor of Social Welfare and Justice at Marquette University in Milwaukee. She currently serves as President of the Arab American Studies Association and treasurer of the Association for Middle East Women’s Studies. She has published dozens of articles and book chapters on Arab Americans and Muslim Americans. In 2004 she won a Carnegie Scholar Award for her work on the reinvigoration of Islamic practices among second generation Muslim Americans. 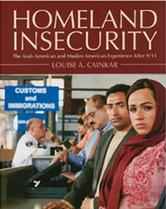 Her 2009 book, Homeland Insecurity: The Arab American and Muslim American Experience after 9/11 (Russell Sage Foundation) was honored as Outstanding Adult Non-Fiction by the Arab American National Museum. In 2010 she received a “Young Scholar Award” from the Institute for Social Policy and Understanding and a “Scholar of Courage Award” from the Council on American Islamic Relations — Chicago, as well as an award for “Outstanding Contributions to the City of Chicago” for human relations work, presented by Mayor Richard M. Daley. 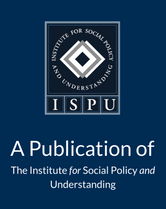 She has also published on the impact of economic sanctions on women and children in Iraq and the forced migration of Palestinians and Jordanians from Kuwait. In addition to academic research and teaching, Cainkar was the founding director of the Palestine Human Rights Information Center and is treasurer of the Arab American Action Network, a Chicago community-based organization. She is currently writing a book on transnational Arab American Muslim teenagers. 2016. “Becoming Arab American.” Middle East Report. Spring: 44–46. 2014. “Learning to be Muslim — Transnationally.” Religions 5, no. 3: 594–622. DOI: 10.3390/rel5030594. 2014. “Not Post-Racial Era, New Racial Era.” The Islamic Monthly. August. 2013. “Global Arab World Migrations and Diasporas.” Arab Studies Journal 21, no. 1: 122–61.